Installing proper insulation in your commercial project can be the difference between a mediocre job and a quality build. Poor insulation can mean higher energy bills for future tenants of your structure and even necessitate frequent repairs to walls and roofs – both of which can result in unhappy clients and a damaged reputation. At Arango, we’re committed to serving you well so that you can serve your customers well. 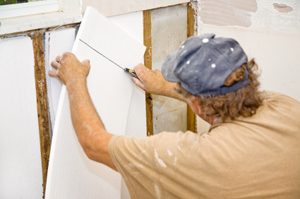 As commercial insulation contractors, we provide only the highest quality materi als and employ only trained technicians, so you can rest assured that your project is in capable hands. We know how important finishing your job on time and under budget can be in these tough times. Thanks to our quick turnaround times and skilled, professional technicians, we can often be on site the next day and complete the job in one to three days. Save time, save money, and get your commercial structure completed on time with Arango Insulation. Call or e-mail us today for more information about our available products and services and how we can serve you on projects in New Orleans Louisiana, Memphis Tennessee, Columbia South Carolina, Tallahassee Florida, Washington, D.C., and throughout the Southeast. Also inquire about our commercial roofing services.